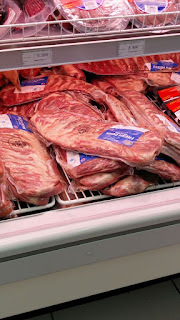 Home / local news / Fresh pork ribs, buy one get one free! Fresh pork ribs, buy one get one free! I don't normally do stuff like this but I just got back from buying lunch in Al Fair in MQ and I found myself in the Pork room, which is odd for me for a lunchtime, but I guess I just wanted to have a look see, and I'm glad that I did. 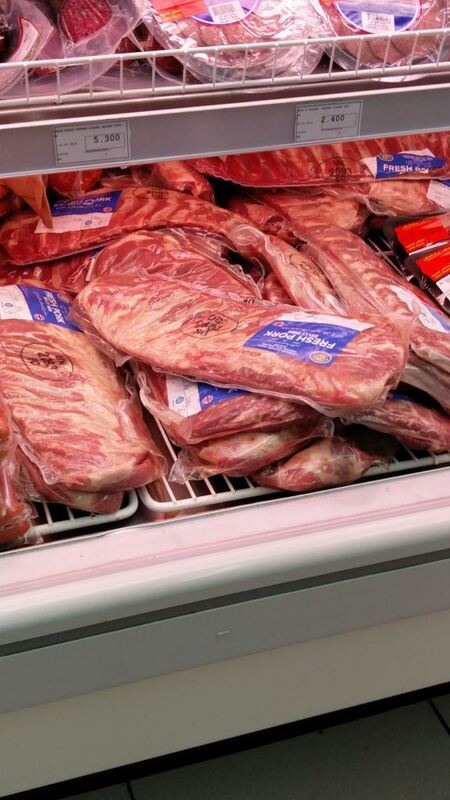 And the ribs can be safely frozen today too - because they're fresh and have never been frozen! So: Al Fair, MQ, cheap ribs, if you like that sort of thing. Today only! Why last day 'legally'? Is there new legislation? Careful with those, I bought one a few months back in Spinneys (Wave) and it had a horrible smell so went straight to the gargabe. Make sure you keep the receipt! The exact same happened to us from Al Fair in Azaiba. Rancid smell from the packet of rotting meat when it was opened. Absolutely disgusting.